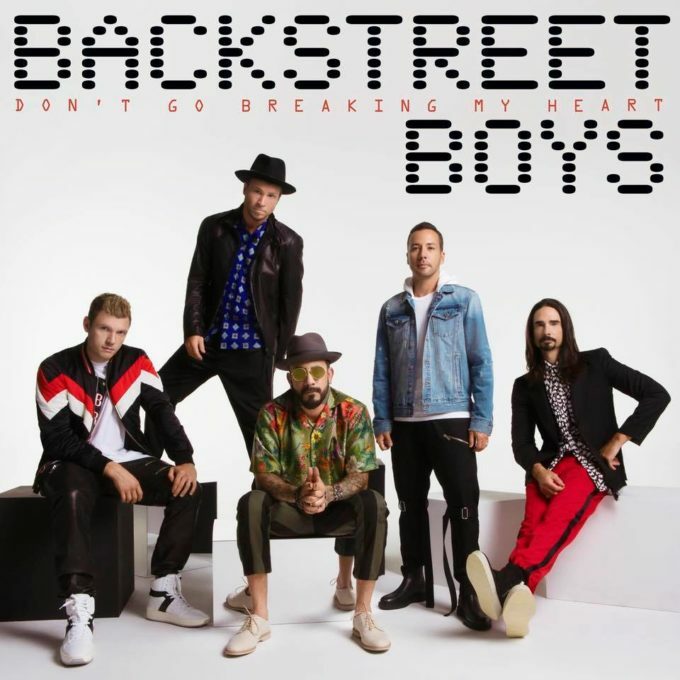 ’90s pop favourites the Backstreet Boys are back with their seriously decent new single ‘Don’t Go Breaking My Heart’. It’s hard to believe that it’s been five long years since Kevin, Brian, Nick, AJ and Howie D last gifted us new music. But ‘Don’t Go Breaking My Heart’ shows that despite the quintet beginning their careers almost 25 years ago, they’ve lost none of their spark, nor their ear for a sharp pop single. It was penned by Stephen Wrabel and produced by both Jamie Hartman and one of our favourite pop superproducers Stuart Crichton and totally bursts into full gear just prior to the one minute mark. Coupled with that is the music video (below) which proves that age has not wearied the boys’ ability to bust a totally sharp synchronised dance routine. And the directors (Rich + Tone) certainly know what they’re doing, employing jolting shots to add extra punch to proceedings. Top notch, BSBs!